Four train companies have started legal proceedings against the government after it cancelled the bidding process for a rail franchise and then refused to pay compensation. Ministers ditched bids to run the Great Western rail franchise in January, saying they wanted a rethink. FirstGroup, Stagecoach, Arriva and National Express have gone to court in an effort to get their money back. If they are successful, it could cost the government £40m. When the government called off the Great Western bidding process it said it wanted to re-evaluate it following the high profile collapse of the West Coast mainline deal a few months before. there will now be a "stay" in the legal proceedings until the end of March, giving both sides the chance to thrash out a compromise. So there is a way to go yet before this gets legally nasty. But these companies are very angry that they will not be compensated for what they see as the government's mistakes. Ministers are compensating bidders who lost out on that defunct West Coast deal, and that, say the rail firms, is inconsistent and unfair. Each firm will have spent about £10m on the bidding process for the Great Western franchise, hiring large teams of experts and lawyers to put together their submissions. Nigel Harris, the editor of Rail Magazine, says: "A refusal to refund may conform to the letter of the contract rules but utterly fails the 'right thing' test. I am told it does not mean the rail companies will definitely sue the Department for Transport, but it is certainly piling on some legal pressure, and giving them the option of going to court if both sides cannot agree a deal. However, lawyer Patrick Twist at Pinsent Masons does not think it will get that far. "By lodging papers with the High Court the bidders are keeping open their ability to pursue the Department for Transport for the costs they wasted on bidding for the cancelled Greater Western franchise procurement," he said. "The department will strongly resist any claim and the same bidders will have the opportunity to rebid when the franchise is re-procured. So it would be surprising if this really does lead to litigation." At the moment, the government does not look ready to budge. In January, Transport Secretary Patrick McLoughlin said: "In keeping with the relevant invitations to tender, which made clear that bidders are responsible for their own costs, the secretary of state does not believe it would be appropriate to reimburse bidders." 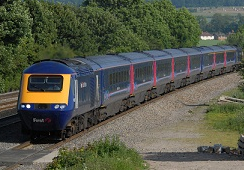 In fact, if you wade through the Invitation to Tender (not an easy read, I grant you), this is what it actually says: "Each bidder shall be responsible for all costs, expenses and liabilities incurred by it in connection with the Great Western franchise letting process, whether or not its bid and/or associated negotiations are ultimately successful or the process is subsequently varied in any way or terminated." It is impossible to say where all of this is heading. But if ministers do end up compensating these firms, even if it is just for a fraction of their costs, they can expect a lot of flak for the fact that yet more taxpayers' money has gone on compensation, rather than improving the trains or cutting fares. Remember, the government has already spent £50m (and counting) cleaning up the West Coast mess. There is also the possibility that it will open the door to claims from those companies affected by long delays to two other big franchises, Essex Thameside and Thameslink, Southern and Great Northern. Both have been postponed for a couple of years in the wake of the West Coast problems.